What are you living for? Or a bigger question. Why did God save you? How can the reality of God be seen in your everyday life? God calls, enables, empowers, and invites you to live on mission right where He has you. Right in your own home, marriage, church, community, and job. 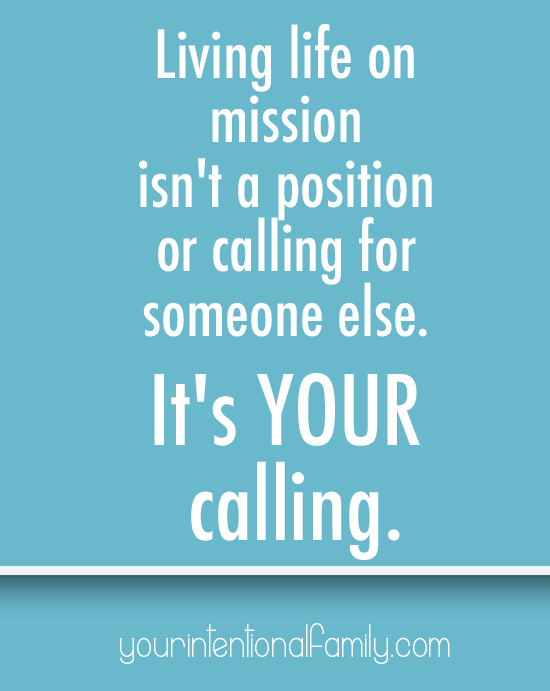 Living life on mission isn’t a position or calling for someone else. It’s your calling. Each of us comes equipped with a special set of gifts. With that also comes a special set of weaknesses. Nevertheless, the strengths and weaknesses are meant to be lived out in the church and in our homes. Your life is needed. It is wanted. So much so that God sent His only Son to die for you. God saved you. He wants to use you. Your story, your life, your family. 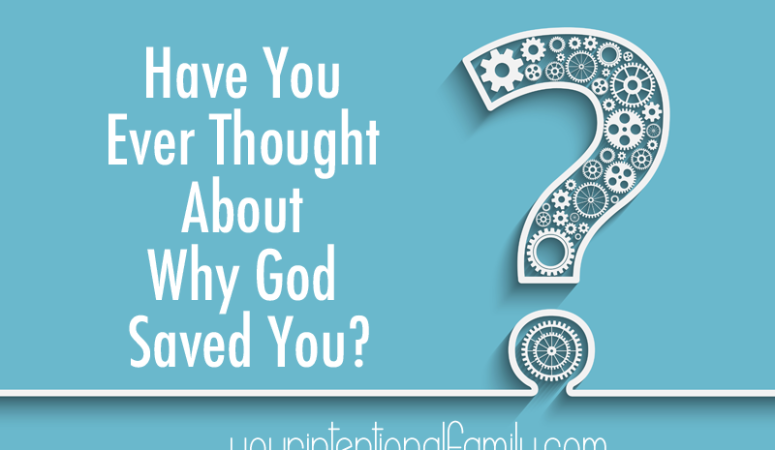 Have you ever thought about why God saved you? Why God has you in this family? The mission God has for your life is intimate. It is personal. It started in childhood. It’s your life story, your experiences. Every moment of your life has been ordained by God to make up your mission and purpose here on earth. Many of us have pasts we long to erase; yet it’s in these stories of death and darkness where we have the lens to understand life. Without death, there is no life. Life on mission – what you are living for and why you were saved – is about purpose. Your Intentional Family needs a purpose, but first you, the individual – the mom, the dad, the wife, the husband – need a single individual understanding of your purpose! Many of us aren’t content with our lives. We aren’t content because we don’t have a reason to glorify God. We have no idea if what we’re doing even matters. We are so caught up in living moment by moment, we lose sight of the big picture! 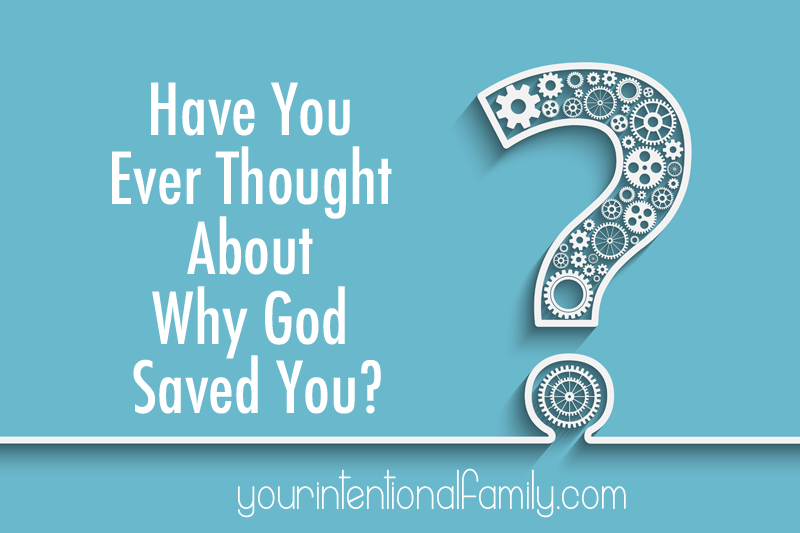 If you don’t have a mission statement for why God saved you, then you need to get one. I wrote an entire (but very short) eBook to help you do this. Live for Him: A Grace-Filled Look at Planning will walk you through the steps of creating a mission statement for your life. God didn’t save you just for heaven, but also for His kingdom here on earth. It’s your job to figure out why and then start living it! In order to build an intentional family, you have to know your purpose first. You have to know your role within your family unit. Why not take some time this week to create a mission statement for your life. Discover your God-given purpose. Write it down. Share it with your family. Then make sure everyone in your family has one if they are old enough to create one! 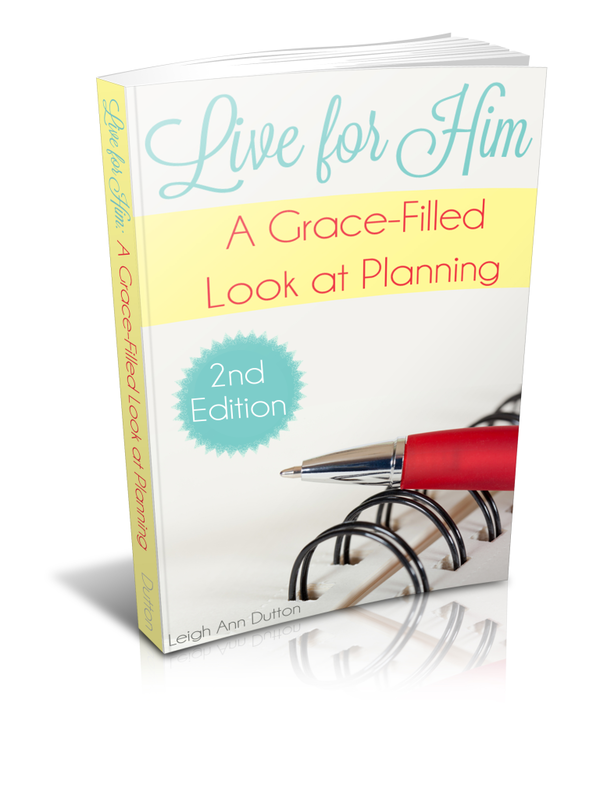 Feel free to get a copy of Live for Him: A Grace-Filled Look at Planning and use it for everyone in your family! Have you ever created a mission statement for your life? We’d love to hear about it in the comments!